Davy Grosemans (B) has created a surprising, yet very functional product, by rescaling an ordinary but archetypical object. He applies the formal and stylistic aspects of a coffee pot to a watering can Davy has added subtle but important adaptations to guarantee the easy use of the watering can with a content of 12L. 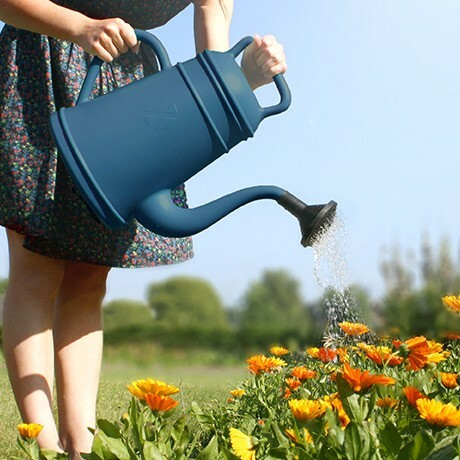 Lungo is the biggest watering can in the collection of Xala beautifunctionals and can already be seen as an iconic watering can in design history. Lungo is available in a range of contemporary colours including one special edition in gold.